Take The Unlimited Intuition Now! Course. 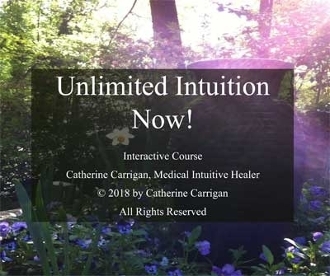 This course is based on the book Unlimited Intuition now! And is designed to help you practice developing your own psychic abilities so that you can receive guidance from your soul. Deepen your connection to God and feel supported on all levels. You will be sent a link to a PDF file with instrutions on how to download the course files. Besure to check your email for the link to download the PDF file. Also check your Spam or Junk folder if you do not receive the order confirmation email with the download link. Copyright © 2013-2019 Unlimited Energy Now®. All rights reserved.